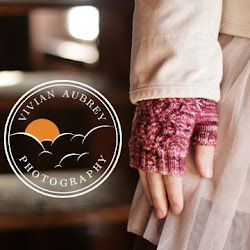 Today on the Doomvember blog tour we have a guest post from designer Brenda Anderson about her pattern, Grom-mitts. Take it away, Brenda!! When you prepare yourself for the coming apocalypse, choose your accessories wisely. Keep in mind, that although you may want to keep your arms covered to protect yourself from the elements, you should keep your fingers free for doomsday related tasks like pulling pins from grenades and texting mom about what you you need to loot from the store for that casserole she's making tonight. 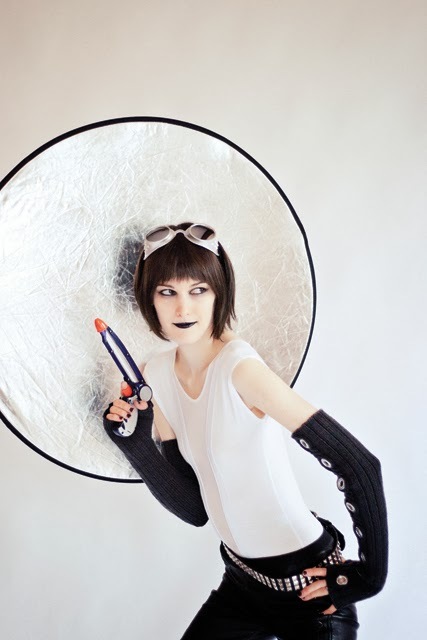 Another thing to think about is how to blend in with the Killer Robots that are trying to take over the world. 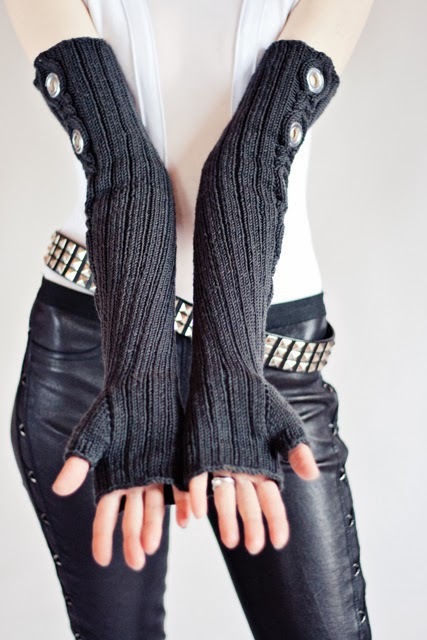 Well these suuuuper-long fingerless mitts should do the trick. The grommets that run down the length of these mitts are not just decoration- they are also a disguise meant to trick the robots into thinking you are on their side. 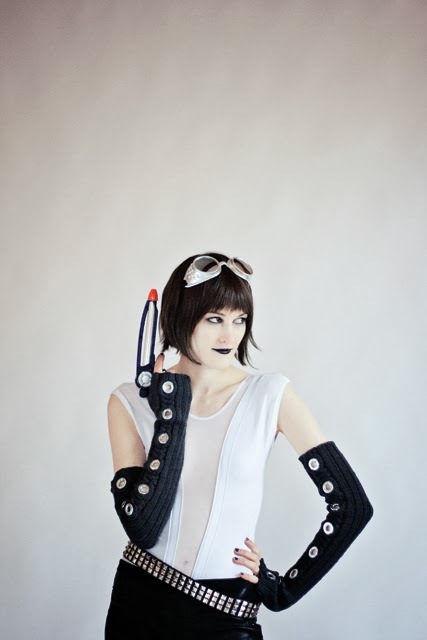 I am so proud to be a part of Alex Tinsley's book Doomsday Knits. Together, with this book, some needles and yarn we can all be a little more prepared for what is to come. Thanks Brenda! Brenda's Grom-mitts are part of the "Kill All Humans" chapter of Doomsday Knits, and are knit with Zitron Ecco, a DK weight merino with great bounce and stitch definition. I can attest, they are SO fun to wear! 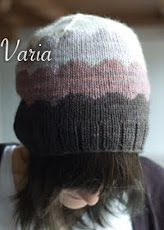 Check 'em out on Ravelry here. The full tour schedule is here- we will be revealing and talking about one pattern from the book each day. Please join us tomorrow on Spillyjane's blog! To learn more about the book or to preorder a copy, please swing by Cooperative Press! Awesome work, Brenda! 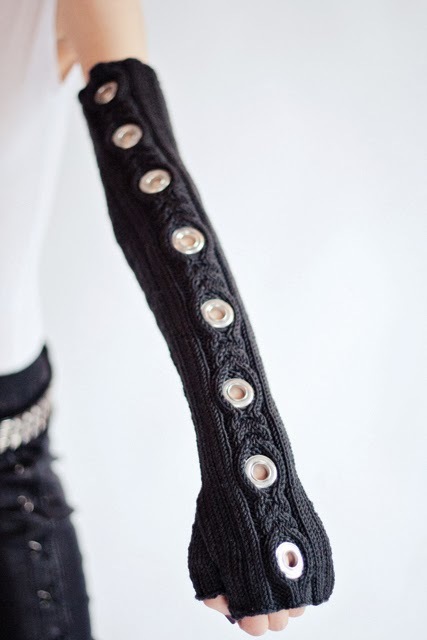 I can't wait to see how the grommets are incorporated into the mitts! I absolutely love these! I saw them at the trunk show at Pearl Fiber Arts in Portland, and am looking forward to seeing them in the book. So cute! So cushy!